How to watch 2018 Wimbledon online and on TV in 4K Ultra HD | What Hi-Fi? The BBC's 4K iPlayer trial is still going strong, and Sky Q customers are included too. Ace! Ah, Wimbledon: in its own civilised way it's been a thrilling and unpredictable tournament so far, and there's just the men's final left to go today. But first of all, let’s talk iPlayer. The Ultra HD iPlayer coverage has included every match played on Centre Court throughout the tournament, kicking off with (sob!) 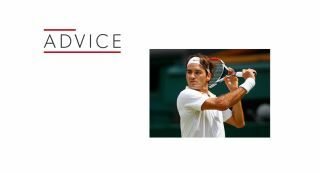 Roger Federer’s opening match and set to conclude on Sunday 15th July with the Men’s Singles Final day. Live HD streams of the action is also be available on BBC Sport online, iPlayer and through the Red button. For the first time, the BBC has also served up the opportunity for Sky Q customers to get a slice of the 4K action. As part of the Beeb's Ultra HD trial, Sky can also offer the ‘latter stages of the tournament’, including the men's and women's singles semi-finals and finals, in 4K - but not in HDR. Sky Q customers can access the Ultra HD feed via a pop-up/red button message while watching live on BBC One and BBC Two. As Sky Q, disappointingly, wasn’t included in the BBC’s World Cup plans despite being compatible with its previous on-demand trials, we’re pleased to see its inclusion. What’s most interesting is it’s being broadcast over satellite rather than the internet - which is surely the aspiration of 4K broadcasting down the line. We've been scrutinising and comparing the quality and sturdiness of the streams - and it could be a whole other ball game. And finally, Virgin will be showing the Ladies' and Men's Finals in 4K on Eurosport. Virgin customers with a V6 TV box will be able to watch both finals through the TV home page, while Full House subscribers can watch the 4K feed by pressing the red button on Eurosport 1 and Eurosport 2 HD channels. The Sony PS4 Pro was recently updated with the 4K iPlayer app for World Cup streaming too, although it’s not (yet) on the BBC’s official list of compatible devices. Like with the World Cup, the rules are largely the same. The Wimbledon trials remain available to "tens of thousands of people" on a "first come, first served" basis so, basically, when a trial is full for that broadcast it simply won’t appear on the iPlayer home screen. The recent 4K iPlayer trials have been centred around "stress-testing" the service - checking how many people it can handle streaming 4K video at the same time. The BBC recommends a connection of at least 40mb/s to enjoy the full-fat 3840 UHD experience at 50 frames per second, but it’s using adaptive bitrate to deliver the streams so those with fewer megabytes per second can still get the best picture possible for that bitrate. For example, 20mb/s should get you 2560 resolution video. As for access via Sky Q, users will need any 4K TV and the Sky Q 2TB box. And of course, as it’s over satellite, they needn’t worry about internet speed. Despite mixed reviews on the reliability of the 4K HDR World Cup streams, picture quality has been undeniably impressive. The Wimbledon images so far have been just as enjoyable - here’s hoping for very few unforced errors. But even more interesting are Sky's images. They don’t have HLG HDR, unlike the iPlayer streams and thus give an indication of how worthwhile HDR is in broadcast images. We're making those comparisons. This weekend there may well be times when the iPlayer platform is hosting multiple 4K HDR streams, with World Cup and Wimbledon matches on at the same time, so fingers crossed it’s up to the task. Quite frankly, your guess as to what the next BBC 4K ‘trial’ will be is as good as ours. Who knows, maybe by then it’ll progress from a ‘trial’ to a ‘service’. But what we will know is that after a solid month of 4K broadcasts, over two huge sporting events, sport and 4K fanatics will be feeling pretty deflated in the days after they’re over. But if the trials continue at this rate, and the satellite streams prove just as attractive, industry and consumers alike will have reason to believe free-to-view 4K and HDR broadcasting has a bright future ahead of it.